Free to members or with admission. Younger children should work with an adult. The holiday season is upon us. 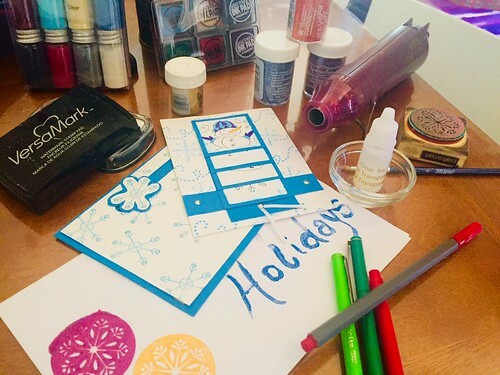 Drop in and decorate a greeting card using various stamping, stenciling and printing processes in this all ages workshop. Include a joyful message in your homemade card and spread a little holiday cheer to someone special.